This is showing a longitudinal close up picture of the cochlea. This picture was drawn by Henry Gray in 1918 and can be found in his book "Gray's Anatomy". current 18:24, 16 May 2015 600 × 408 (50 KB) Mikayla.c This is showing a longitudinal close up picture of the cochlea. 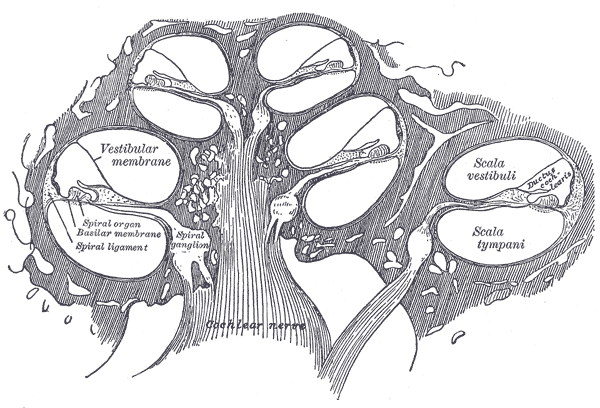 This picture was drawn by Henry Gray in 1918 and can be found in his book "Gray's Anatomy".